KIEV, April 8. /TASS/. 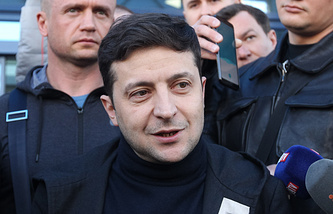 Presidential hopeful Vladimir Zelensky’s election campaign staff has requested the Ukrainian Interior ministry to provide security for the presidential candidate, Interior Minister councilor Ivan Varchenko said at a briefing on Monday. "Speaking of our engagement with the candidates, prior to the first round of the elections we were safeguarding nine presidential hopefuls. At the moment, Presidential candidate Vladimir Zelensky’s election campaign staff has requested such protection," the UNN news agency quotes him as saying. According to the councilor, the National police is cooperating with the candidates’ campaign staff in every region and every district of the country. Last Sunday, the Ukrainian Central Election Commission (CEC) officially declared the results of the presidential elections’ first round that took place on March 31. 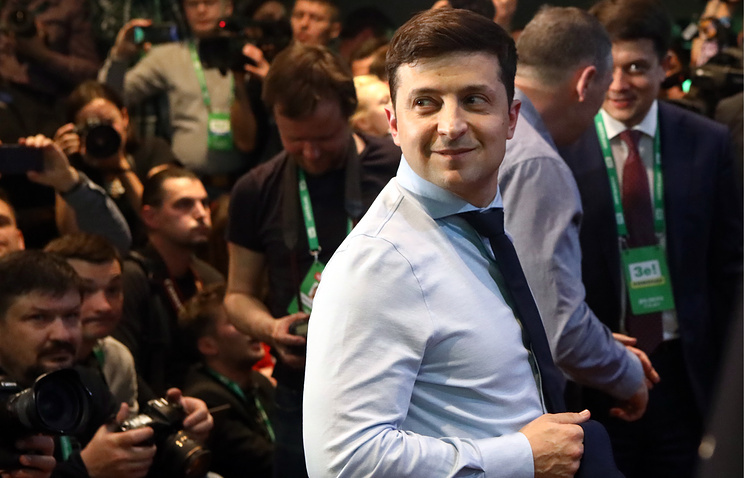 Presidential hopeful from the Servant of the People political party Vladimir Zelensky racked up 30.24% of the votes, while incumbent President Pyotr Poroshenko came second with 15.95%.